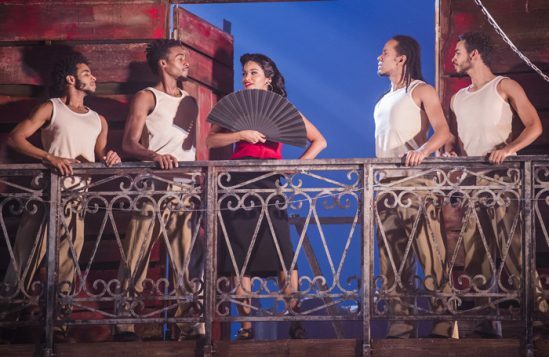 The story of Carmen has been reimagined countless times, but Christopher Renshaw’s Carmen La Cubana, which draws its inspiration from both Bizet’s opera and the 1943 Broadway musical Carmen Jones, is the first adaptation to be set in Cuba. 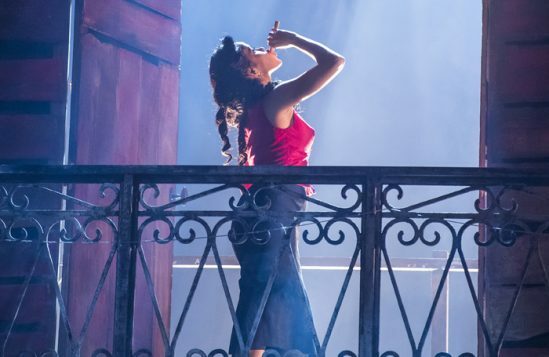 Set on the cusp of revolution, the set’s peeling paintwork evocative of faded grandeur, both country and heroine are seeking a better life. The setting suits a tale that teeters on the edge of danger and, in the key twist for this production, it also allows for an influx of Cuban rhythms and dance styles. 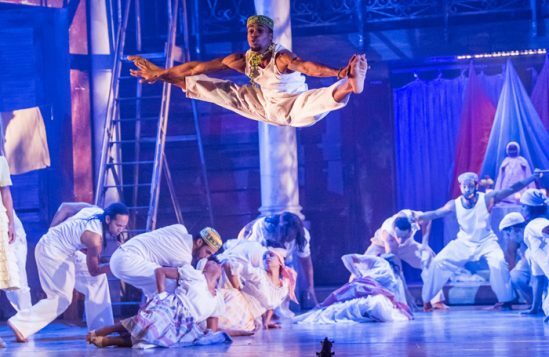 Salsa, cha cha, rumba and mambo are woven into the familiar songs of Bizet’s opera, and the same is reflected in choreography that draws upon Cuba’s multi-faceted dance culture. The superb dancers of the all-Cuban cast slink and sashay through Latin steps, whip through Broadway jazz routines and throw themselves with abandon into Afro-Caribbean style contemporary. Interspersed throughout, these vibrant bursts create an infectious, party-like atmosphere. If anything, it would be good to see more full-length routines from these sharp, energetic dancers. As Carmen, Luna Manzanares Nardo is commanding and seductive, using her prison ropes to lure and entice Jose, the hapless soldier charged with escorting her. 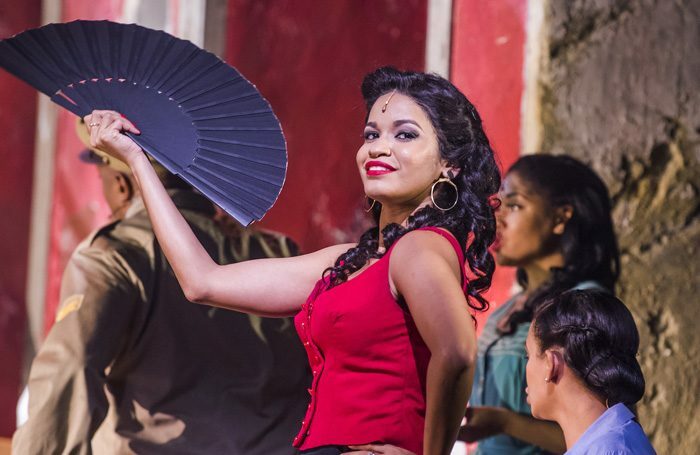 With her rich vocals she aptly captures Carmen’s fiery, strong-willed spirit. While non-Spanish speakers have to suffice with simplified surtitles, the clear characters are easily understood. 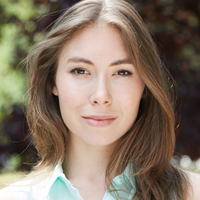 Carmen’s friends Paquita and Cuqui are especially lively, as are the boxer El Nino’s managers, Rico and Tato. 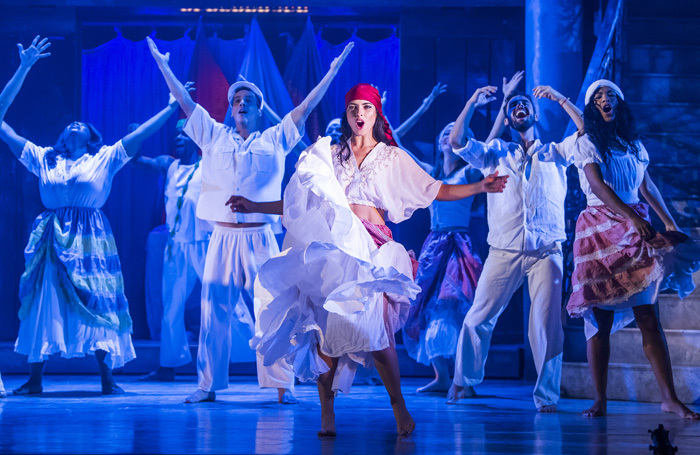 Ultimately, it’s the cast’s irrepressible energy that drives this show. 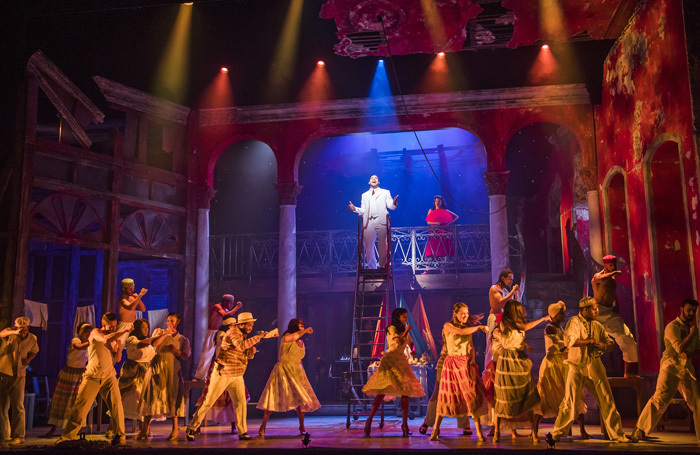 Joyous and raucous, yet filled with drama and danger, Carmen La Cubana strikes a neat balance between its story and setting.